I just got to share with you this amazing, inspirational book I have just read. 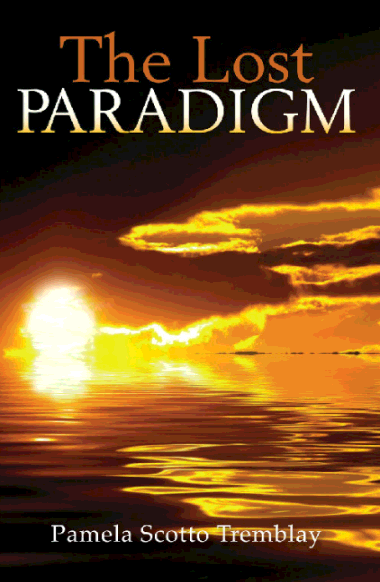 I highly recommend you get a copy of the book The Lost Paradigm. Let me share some things about the book. Shaken by an unexpected life circumstance, Christine Becker, an award-winning New York Times reporter, must decide her future while dealing with the most influential story of her career. Thousands of people are missing, including the President of the United States' daughter. As fear creeps into the minds of every American, Christine searches to find answers as the disappearances rapidly increase. When Christine goes undercover in a therapy group for loved ones of the missing, she experiences a dream simultaneously with the other members. The message in the dream reveals the true source of the disappearances. As Christine and the other participants embrace this knowledge and face their fears, they experience a transformation. Christine must now persuade the President to believe in The LOST PARADIGM before it's too late.